- Low noise Ultrasonic machines (noise level less than to 70 dl certified). 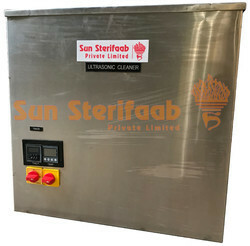 - High temp Ultrasonic machines (with a temp range upto 80°c for continuous process). - Chilling Ultrasonic machine (with a temp less than @10°c from normal room remp). 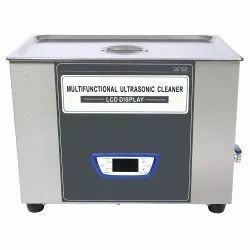 We offer wide range of Ultrasonic Cleaners. We have over 20 models with various versions. Each component is designed and produced for achieving optimal results in the field of Precision Cleaning.